A family owned and operated working sheep station and tourism enterprise , located on the Eastern side of Ikara Wilpena Pound in the Flinders Ranges, South Australia. 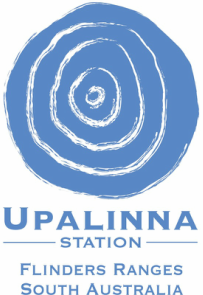 Upalinna means 'Little Water' in the Adnyamathana language. The station has many springs throughout and the Wilpena creek snakes it's way East through the property. Enjoy rambling through native pine forests and gum lined creeks. Gaze at the millions of stars in our Milky Way at night. See fossils and Yellow Footed Rock wallabies in Brachina Gorge. Enjoy the wildlife in the area such as kangaroos, emus, echidnas, galahs, parrots and reptiles.